Time management is that thing we get drilled into us our entire lives. 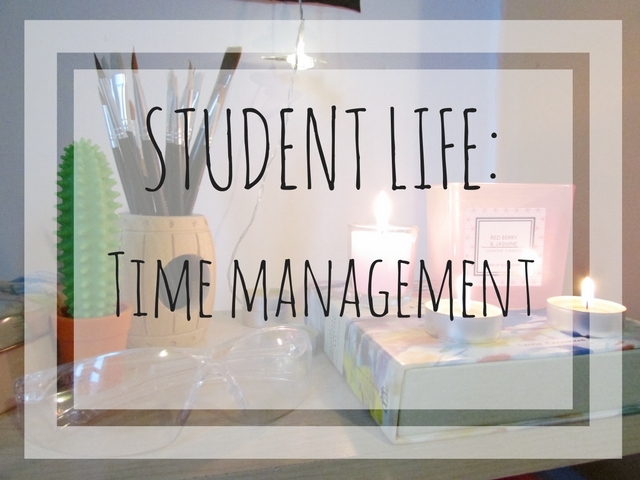 I'm starting to regret this post already... why am I drilling more time management into you?! Ok, so it's just a few simple tips, like really simple, and nice. And they work for me from my experience, maybe they will help you! 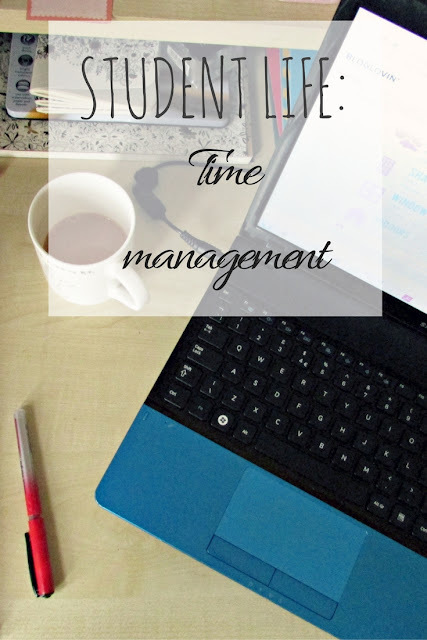 If not I guess they just provide a little insight into the way someone else does time management! 1. Write to-do lists. Duh. Who doesn't do this nowadays anyway?! A rather intimate look at what I've got going on at the mo hehe. 2. An extension of above; break up your to-do list. For example, instead of "start coursework for X module" write down specifically what you need to do to start it, like "research Y for coursework for X module". 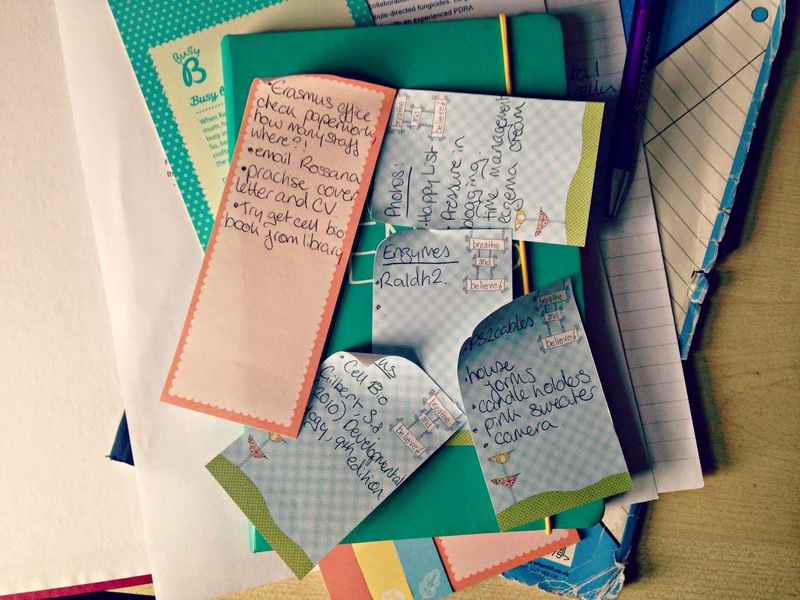 Write each bit down individually, with extra details that you might need to know. It looks like a lot but it'll be quicker and easier to tick them off, giving you a sense of satisfaction and achievement. Whatever you do, don't overload your day, and don't beat yourself up if you can't finish everything on the list. I also have a long term to-do list with things I must organise continuously or for a few months so they are always there to remind me. 3. Reward yourself for achievements. This is something my counsellor told me to do to help me with depression and anxiety, however, I think applying it every day is good too! It doesn't have to be expensive, just like "I will make myself a cuppa after crossing three things off my to-do list" would work! 4. Get the worst done first. All you want to do is put it off, you even procrastinate from it by doing other productive things haha. But seriously, just get it done and out of the way, especially if the deadline for it is looming, you want to be prepared! 5. Don't be afraid to ask for help. If you can tell you aren't coping with everything on your plate and are falling behind don't be afraid to go to someone for help - school teacher, lecturer, supervisor, parent, manager, friend etc. Especially if stress is starting to affect your health. People will understand that you are trying your best. It took me a while to learn this, but now that I have I never hesitate to involve other people or to just let them know if I am struggling. Ahh this is such a fantastic post! These are helpful tips, I especially favor #2 and #3! I have the worst and still long-standing habit of doing work for several hours on end without a break (often going an entire day) and am trying to break out of it :) Will try to apply these. Thanks for this, I really needed a post to motivate me today. It worked so well. I don't feel i need it cause my exams are based on four months of work rather than two years now. Get the horrible thing out of the way so it doesn't distract you for the rest of the day. I live for the to-do list. Getting to cross things off makes me feel so productive and I love watching it get shorter!